Denim blouse by STEFFEN SCHRAUT with full-length sleeves. 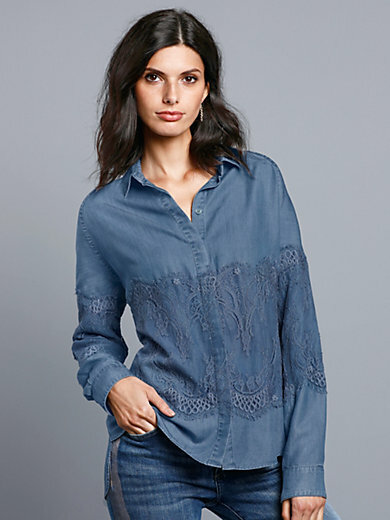 Delicate appliqué lace in 100% nylon gives this denim blouse a surprisingly new, feminine look. Shirt-blouse cut, slightly longer at the back. Concealed button placket. Soft, flowing quality in 100% lyocell. Length approx. 28ins. The denim blouse should be washed by hand.